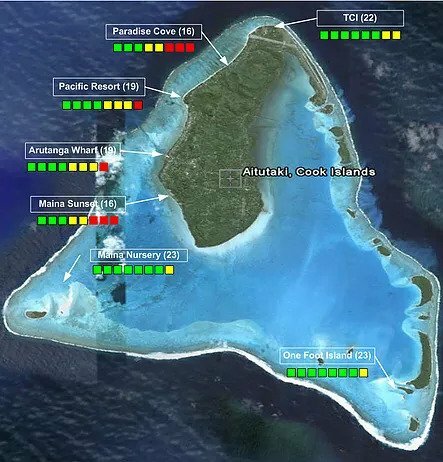 Individuals applying for a permit to build a 160+ birth marina in Matiatia Bay submitted an assessment of the impact such a marina would have on the marine environment to the Environmental Court. A group of concerned citizens hired me to analyse the scientific merits of the applicant’s assessment of environmental impact. In short, I found that the assessment lacked sufficient baseline data upon which to make informed decisions about the marina’s impact on Matiatia Bay’s marine habitats. Apart from my role as expert witness before the Court, it occurred to me that there was little or no data available that describe ecosystems of Matiatia Bay, and that such data could be useful to the broader community, including schools and local government councils. As time allows, I am working with others to collect preliminary baseline data of Matiatia’s marine life and habitat systems. My friend Thomas Greve generously created a web site to disseminate our findings, which remains a work in progress: Matiatia F.Y.I.